SPEEDHIDE® Pro-EV Zero Interior Latex is a durable, quality interior vinyl acrylic paint designed for new and repaint applications where speed of application is most important in both the commercial and multi-family markets. This zero VOC**, low odor paint enables a space to be painted while occupied, delivering the durable product performance required. 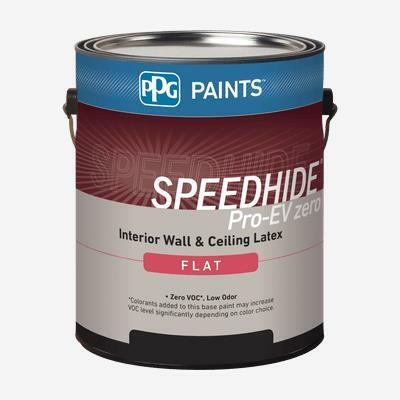 SPEEDHIDE® Pro-EV Zero Interior Latex paint has good adhesion, touch-up and application properties on walls, ceilings and trim surfaces.